New book features the #1 pet friendly destination in 48 states and D.C.
COLUMBUS, Ohio - Sept. 7, 2018 - PRLog -- For anyone who has ever dreamed of taking a road trip with their pet, the new book, "The Ultimate Pet Friendly Road Trip" by Amy Burkert is full of both inspiration and practical information for travelers looking to create lasting memories with their favorite furry friends. Author Burkert and her husband, Rod, aren't vacationers. They're professional road trippers, traveling the country in their RV with their two dogs, Ty and Buster. Their business is checking out pet friendly travel spots all over the USA for their site, GoPetFriendly.com. In 2017 they embarked on the big dog of all road trips: a 10-month, 15,000-mile journey to the top pet friendly destination in the lower 48 states and Washington, D.C. Their adventures are compiled in "The Ultimate Pet Friendly Road Trip." Half "how-to" and half swoon-worthy coffee table book, "The Ultimate Pet Friendly Road Trip" features 200 stunning full color photographs of the destinations as well as advice and pointers to take the guesswork and trepidation out of pet-friendly travel. "Traveling with a pet is wonderful, but it does take some planning to make sure you and your pets have a great time," says Burkert. "The good news is that there are so many incredible spots and experiences you can enjoy together, if you know where to go." Each chapter focuses on a different state's pet-friendly travel gem. Iconic photos accompany tips for safety, hiking options, pet rules and pet-friendly shopping and dining destinations. Burkert offers pointers to ensure pets of all personalities, ages and mobility have a safe and fun adventure with their favorite humans. Even armchair travelers will be inspired by the Burkerts' journeys to places like Carmel Beach, California; Magnolia Plantation and Gardens near Charleston, South Carolina; Wildwood, New Jersey's Wildwood Dog Beach; Mystic Seaport in Connecticut; Arizona's Grand Canyon; Indiana Dunes National Lakeshore near Gary, Indiana; San Juan Islands in Washington, and many more. For those pulling on the leash to head out onto the open road, the book provides recommendations for nine regional road trips with 5-6 stops each. Plus, readers can access a road trip planner and 65,000 pet-friendly locations en route to their destinations at GoPetFriendly.com, a comprehensive resource for all things pet travel-related. Burkert's ultimate goal with "The Ultimate Pet Friendly Road Trip" is to inspire readers to strike out on their own adventures with their best buds by their side. "Make your pet's bucket list today—don't wait," she urges. "Take a long weekend to visit a spot or two; plan a weeklong road trip and see a few more. When you're looking back in the rearview mirror, you'll be glad you did." "The Ultimate Pet Friendly Road Trip"
Ten years ago, Amy and Rod Burkert sold their house, bought an RV and embarked on the adventure of a lifetime with their two dogs, Ty and Buster, by their side. 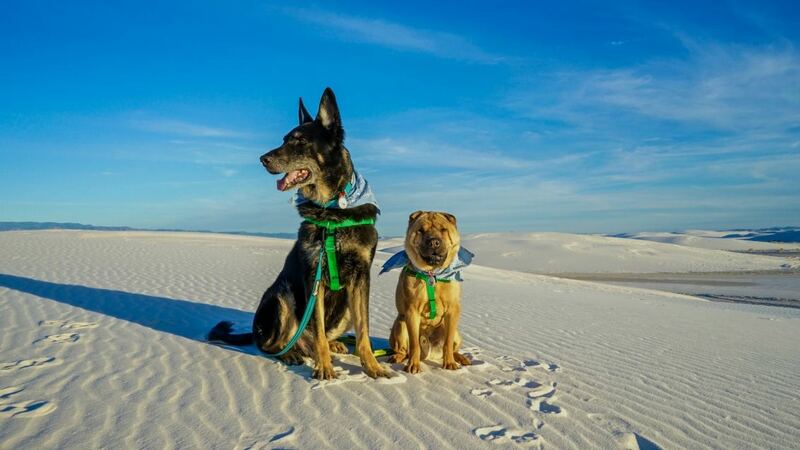 The Burkerts began trekking across the country to find and feature pet-friendly destinations, hotels, attractions, restaurants, campgrounds and more and share their findings on their popular web site, GoPetFriendly.com. Full of resources, travel tips and tricks, a road trip planner, a gear guide and much more, GoPetFriendly.com is the most comprehensive resource on pet friendly travel available. Check out Amy and Rod's latest adventures, compiled into a book: "The Ultimate Pet Friendly Road Trip," which features the top pet-friendly destination in each of the lower 48 states and Canada. Learn more about pet friendly travel and the book at www.gopetfriendly.com.